Lord Shiva holds ten different weapons, namely a noose (trap) (पाश), a goad (अंकुश), a snake (सर्प), a drum (डमरू), a potsherd (कपाल) (used as a bowl), a spear (शूल), a club (खट्वांग) (an ayudha made of a thigh bone topped with a skull), a missile (शक्ति), an arrow (शर) and a bow (धनुष्य) in his hands. [Lord Shiva has five heads and so it is presumed that he has ten arms.] Find the number of different Shiva idols. Similarly, solve the problem for Vishnu idols; Lord Vishnu has four objects: a mace, a disc, a lotus and a conchshell. The above verse is from Bhaskaracharya’s (Bhaskaracharya II) (Born 1114 AD) book Lilavati. Bhaskaracharya had composed this book in 1150 AD to teach Mathematics to his daughter Lilavati, after whom the book is named. This book which is written entirely in verse covers arithmetic, algebra, geometry, mensuration, combinatorics, number theory and other basic topics. This book was used as a standard textbook for almost 700 years. 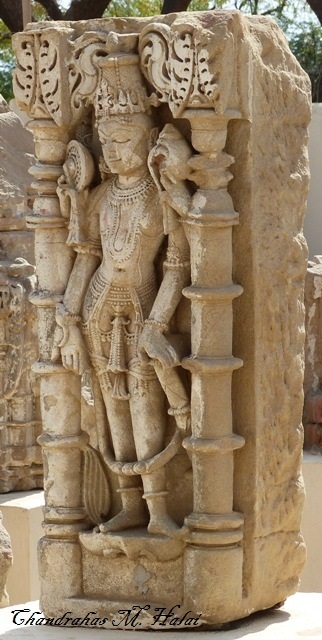 Lord Shiva holds a weapon in each of his ten arms. Now these ten weapons can be arranged in 10! = 36,28,800 ways. i.e. 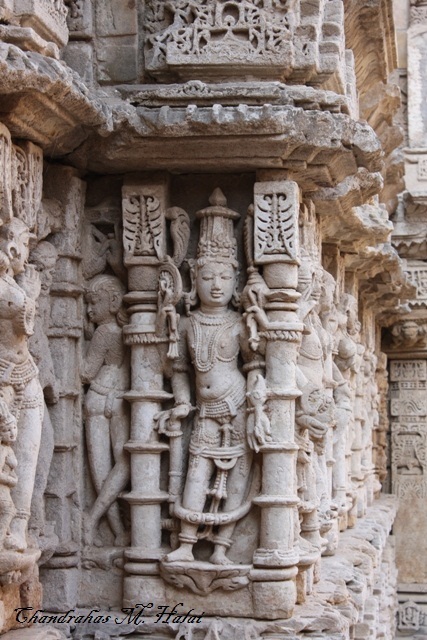 It is not humanly possible to create so many forms of Lord Shiva. 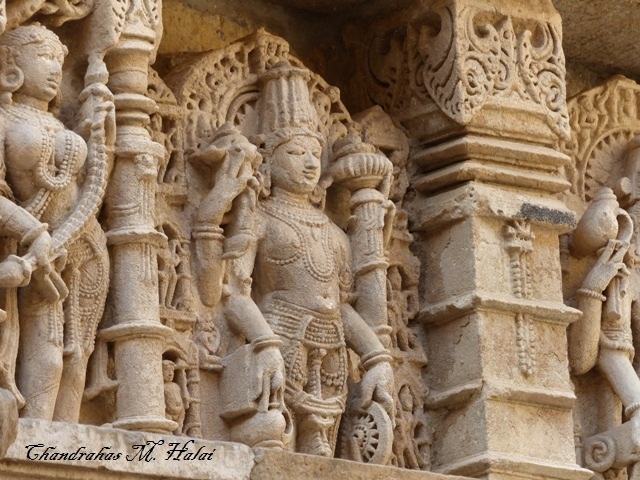 Whereas Lord Vishnu holds a mace, a disc, a lotus and a conch in his four arms. These can be arranged in 4! = 24 different ways. 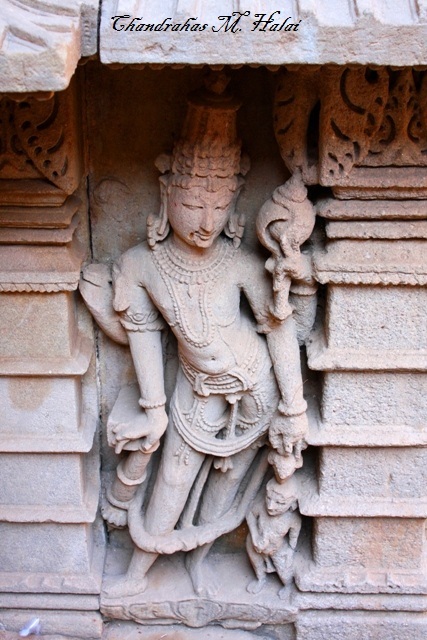 There are 24 different forms of Lord Vishnu with 24 names. 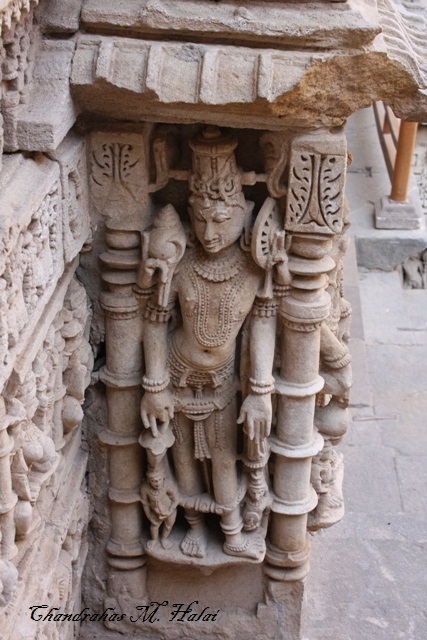 The sculptures of all the 24 forms of Vishnu look alike and differ only in the position of the four objects in his four arms. Each arrangement has a unique name. This group of 24 names is collectively called चतुर्विंशति केशव नाम. Though there are infinite names of Lord Vishnu, this group of 24 names has a special significance as they are recited at the beginning of Sandhyavandam. Given below is the list of all 24 names and the order of objects in the Lord’s four arms. Order of objects in Lord Vishnu’s hands will be given as: lower right, upper right, upper left and lower left of the lord. 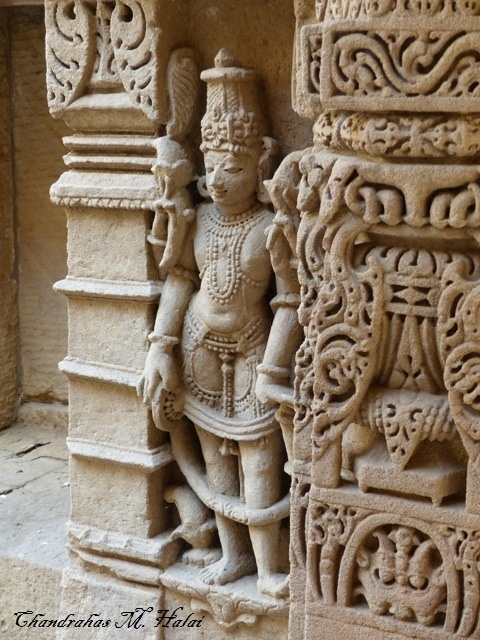 In Queen’s step-well (Rani-ki-vav) built during the end of 11th century AD at Patan, Gujarat (135 kms north-west of Ahmedabad) 15 of these 24 forms of Lord Vishnu are represented in beautiful sculptures. Here, some forms have more than one sculpture. 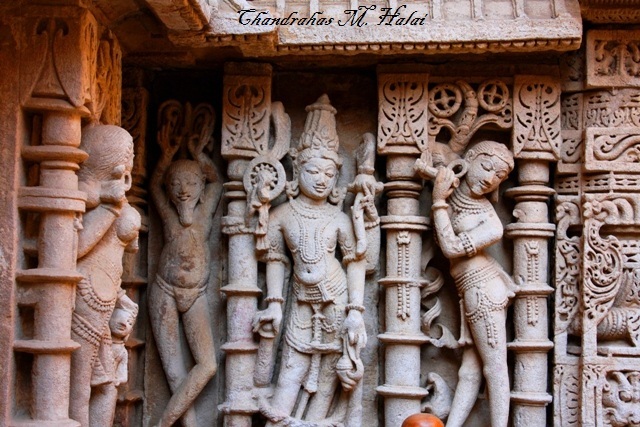 In Venkateshwara Temple (built in 1927) at Fanaswadi in Mumbai there are sculptures of all the 24 forms of Lord Vishnu. The temple is locally known as Balaji Temple.